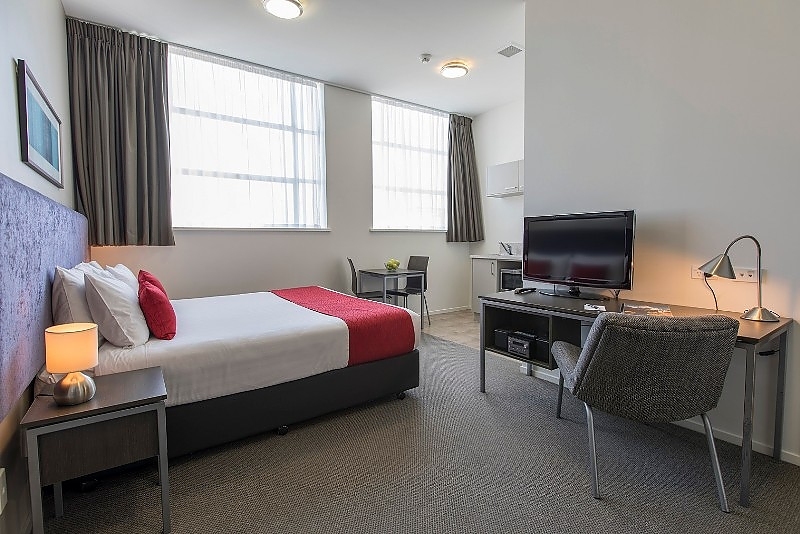 One Bedroom Apartment with king size bed in bedroom area, separate lounge area, full kitchen, bathroom with washing facilities, individual air-conditioning units in the lounge and bedroom, Sky TV in the lounge and bedroom and DVD player in lounge. 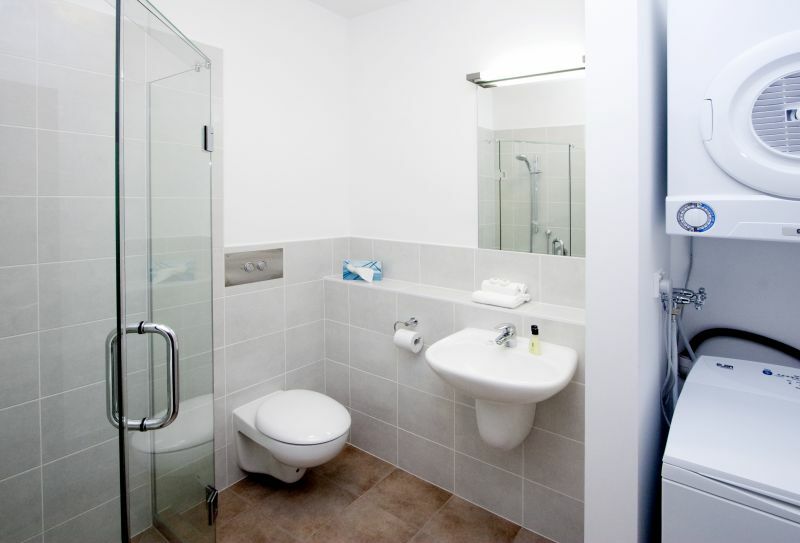 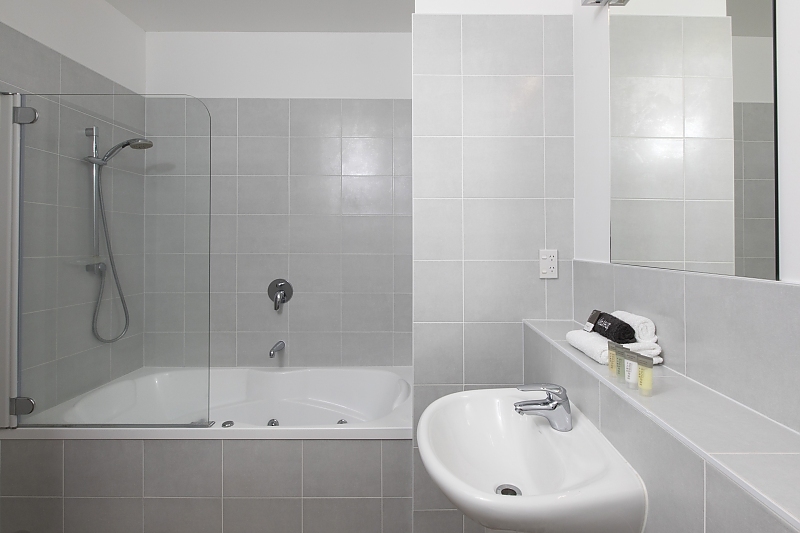 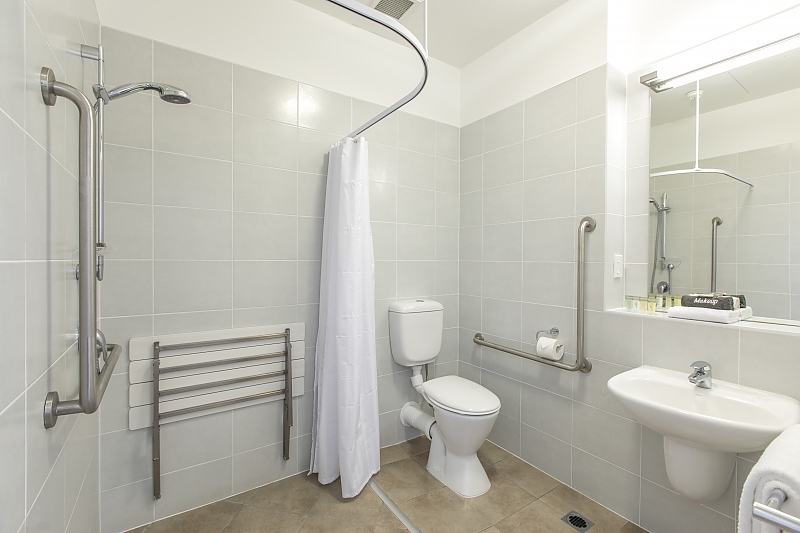 Apartments are serviced daily, complimentary milk on arrival and selection of tea, coffee and hot chocolate. 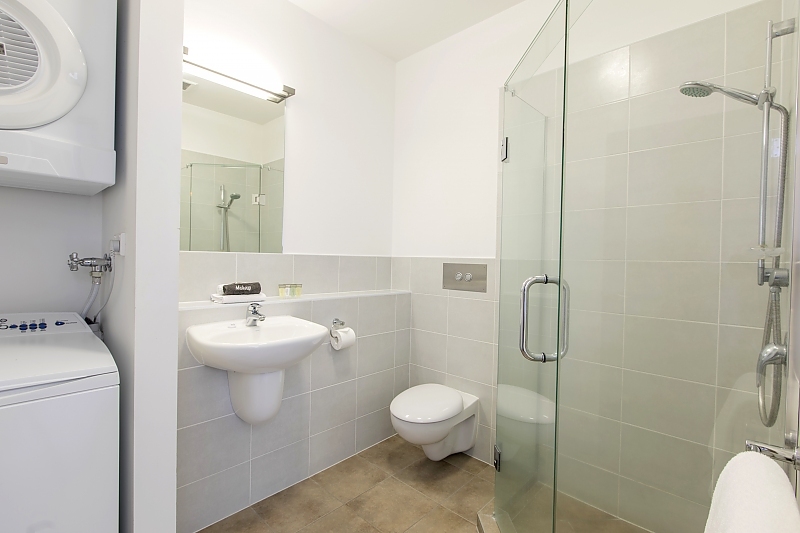 Monday-Friday (7am-7pm) Sunday & Monday (8am-4pm) After hours on-site management team. 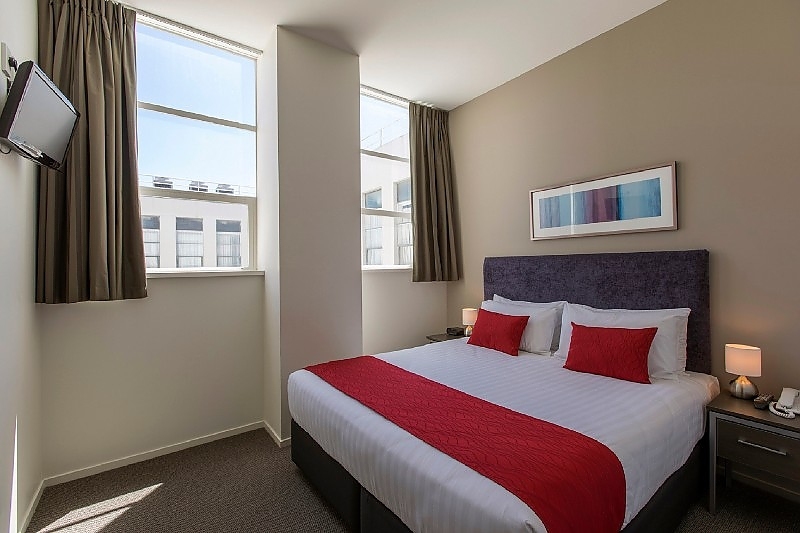 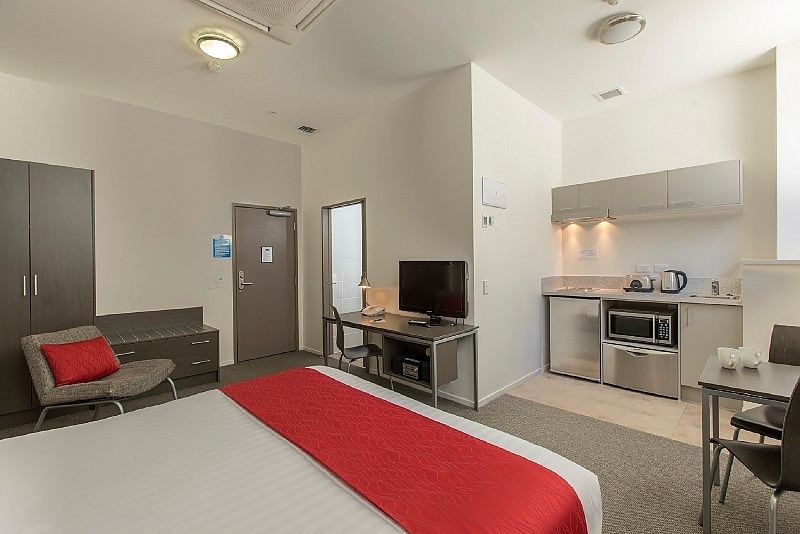 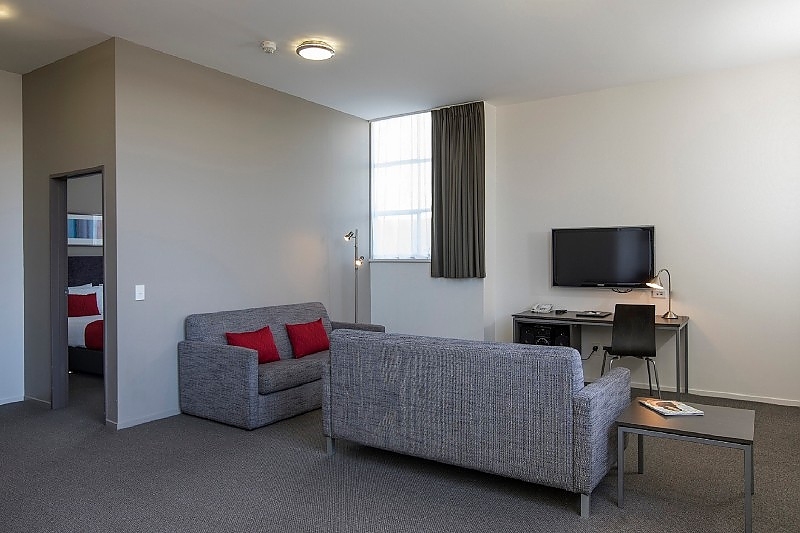 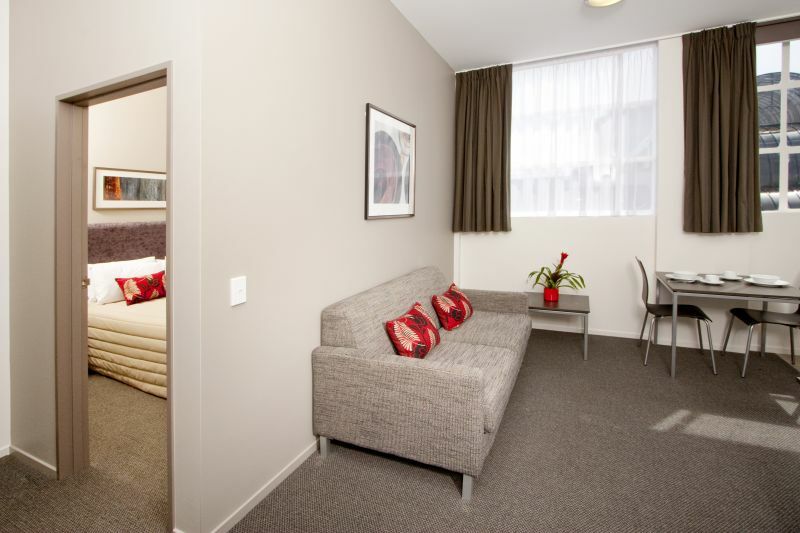 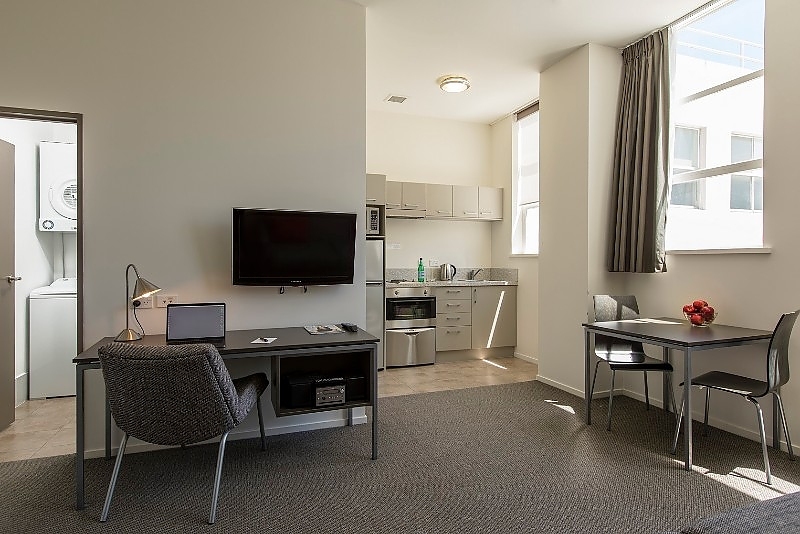 Quest Serviced Apartments offers self-contained accommodation in New Plymouth, right in the heart of the CBD. 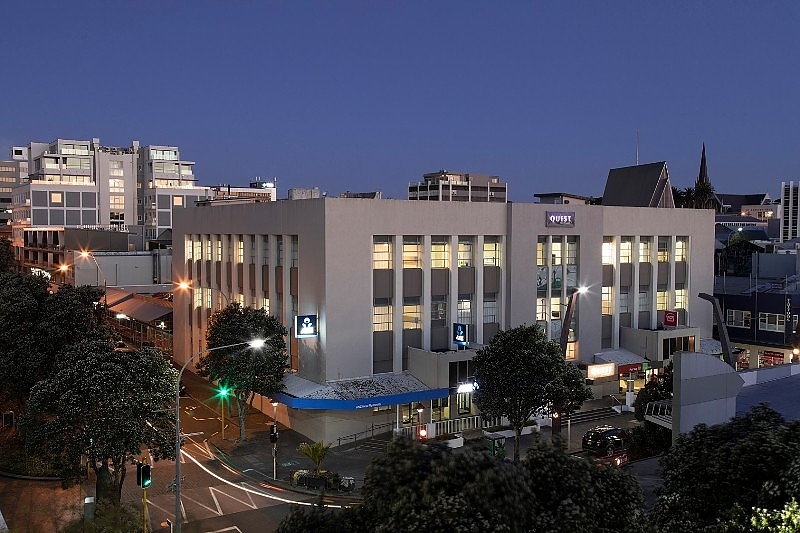 The property is located across the road from the Centre City Shopping Centre, and a 2-minute walk from the award-winning Coastal Walkway. 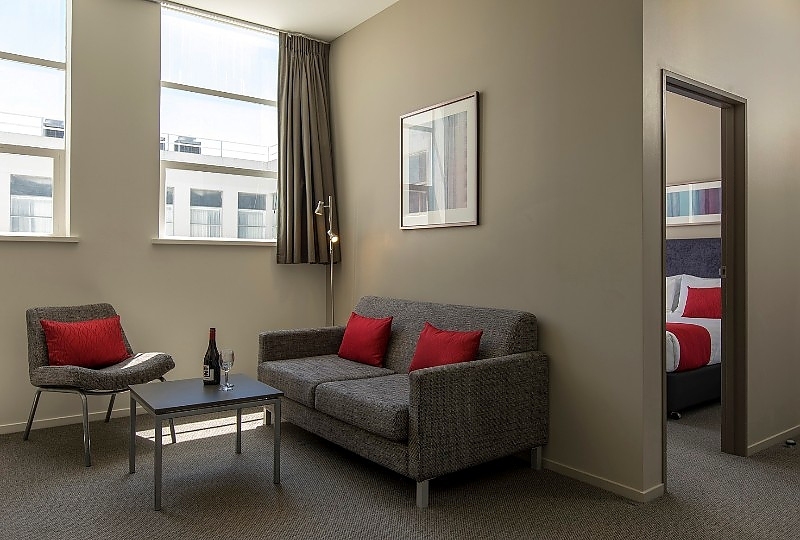 A Good Night's Sleep: A wide range of stylish, contemporary accommodation is on offer. 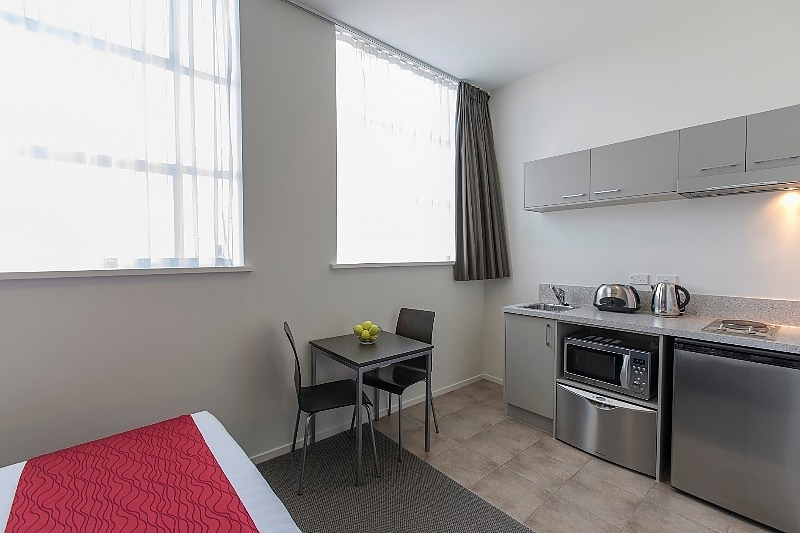 Guests can choose between the open-plan studios with kitchenettes or larger apartments which have a separate living room and fully-equipped kitchen. 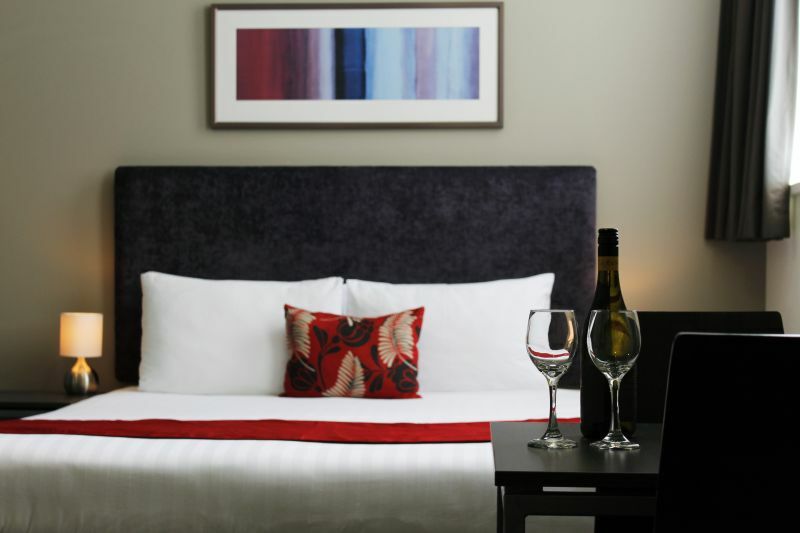 Wining & Dining: A shopping service is available to guests or restaurant charge back can be arranged with a number of local restaurants. 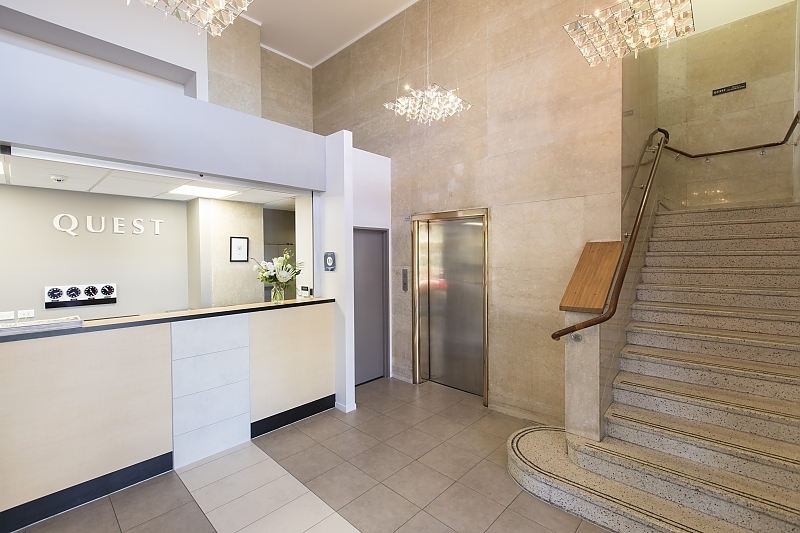 In and Around the Area: Quest Serviced Apartments is directly opposite the Centre City Shopping Centre. 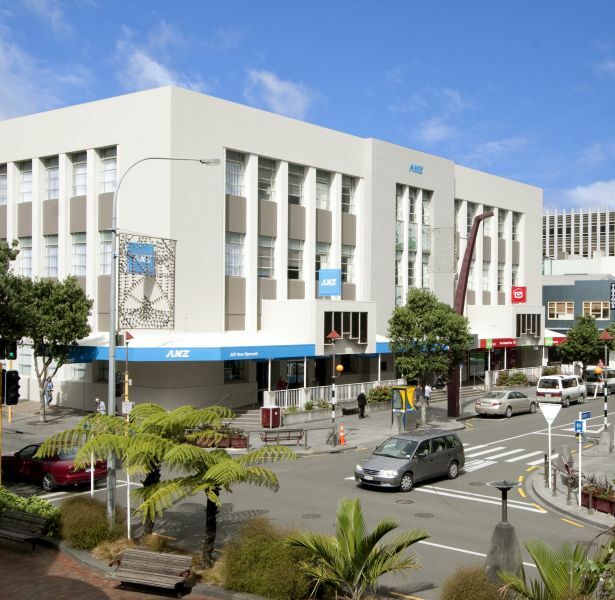 Museum Puke Ariki is 2 minutes' walk away. 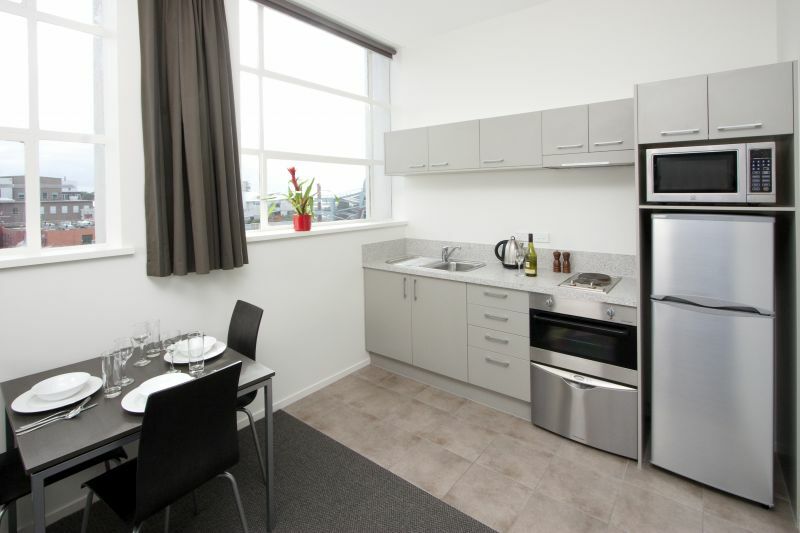 There is a good selection of restaurants, shops and supermarkets within walking distance. 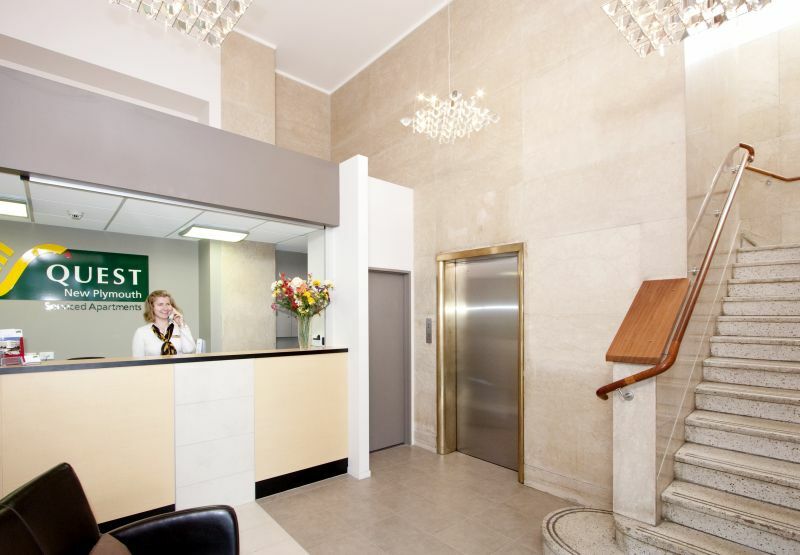 After hours on-site management team.